Metamucil Apple Crisp Fiber Thins are delicious crunchy fiber snacks that provide 4 grams of fiber with just 100 calories per serving (4g total fat). They help satisfy hunger and contain over 15% of your daily recommended value of fiber to help promote digestive health. From Metamucil, the #1 doctor-recommended fiber brand. 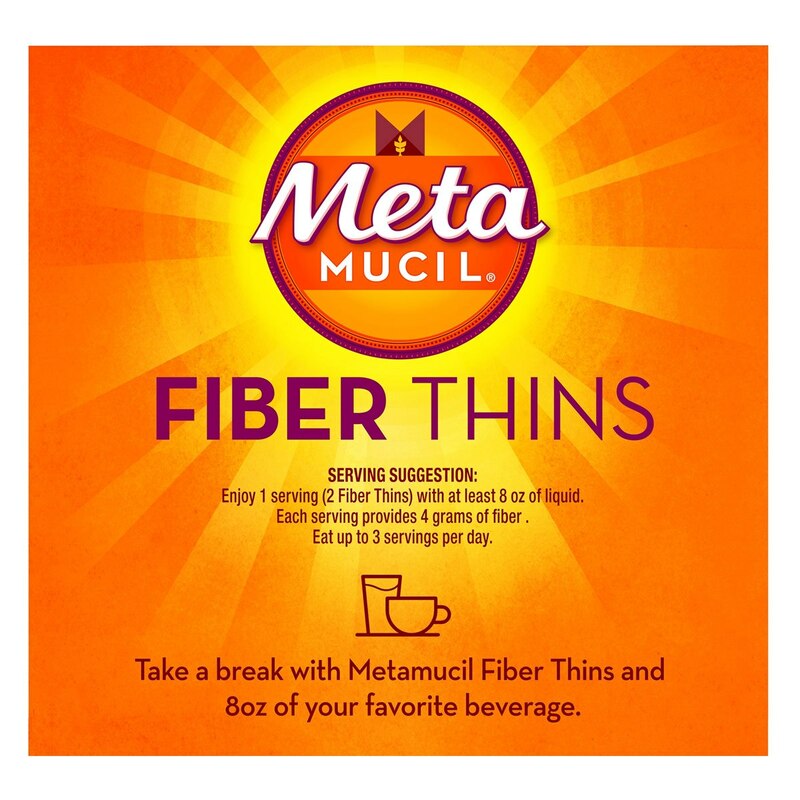 Metamucil Fiber Thins come in three great flavors: Cinnamon Spice, Chocolate, or Apple Crisp. Have them with breakfast or as a midday snack. Our Fiber Thins are more than just tasty, they’re good for your digestive health. Metamucil has been around for more than 80 years and is the #1 doctor recommended brand. Notice: Enjoy this product with at least 8 oz. (a full glass) of liquid. Taking without enough liquid may cause choking. Do not take if you have difficulty swallowing. 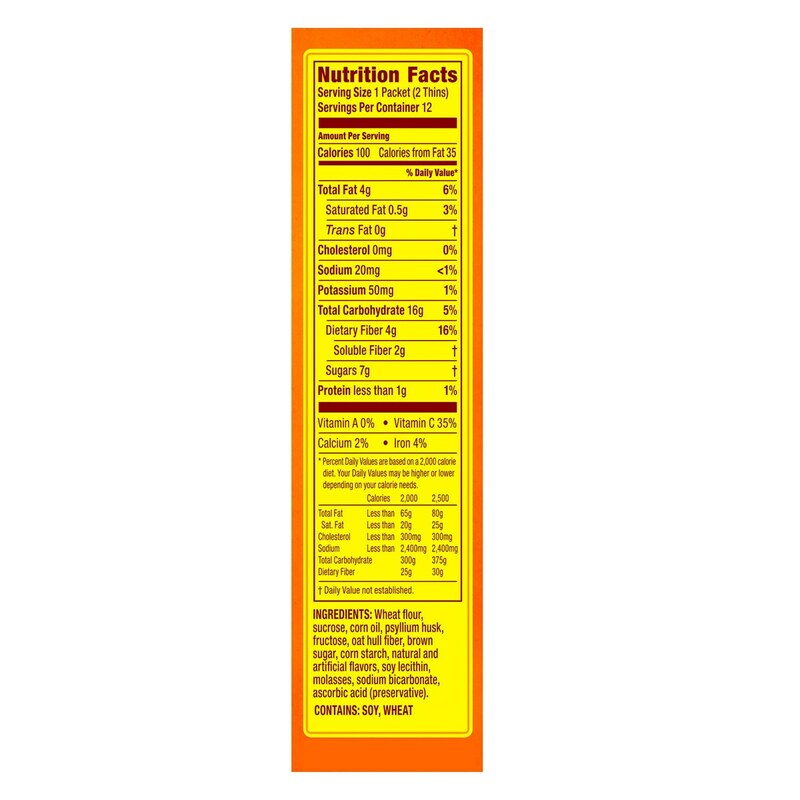 Allergy alert: Allergy alert: This product may cause allergic reaction in people sensitive to inhaled or ingested psyllium.